I have such a love for delicate and feminine jewelry pieces, especially when it elevates my everyday look! 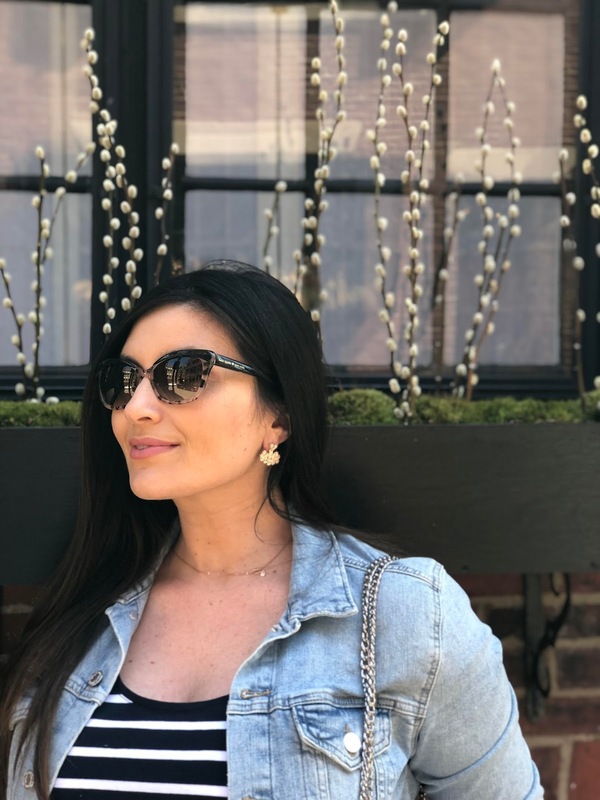 Last year I blogged about why I don't wear heavy earrings anymore and I have been doing everything possible to make sure that the pieces I have and buy are high quality. 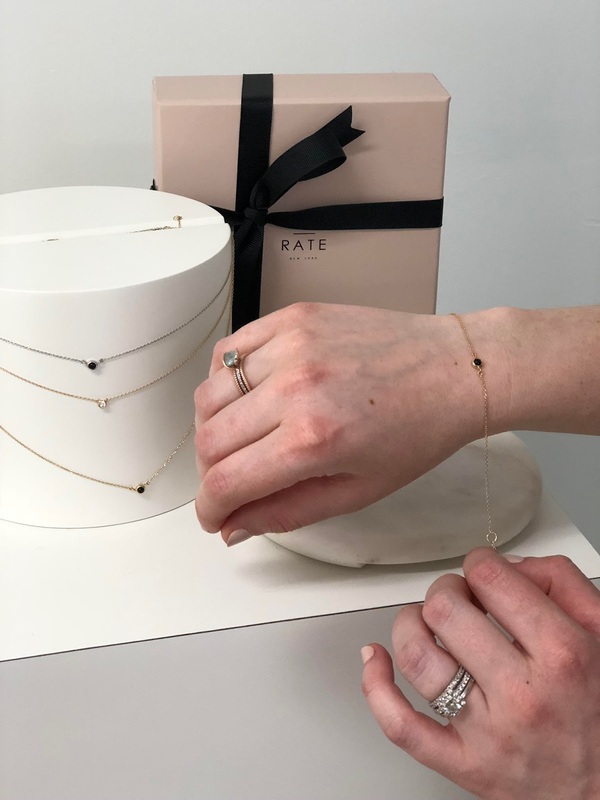 Enter in AUrate fine jewelry. I was introduced to AUrate through their store here in the city - it felt like walking into an art exhibit where you could play and try everything on! 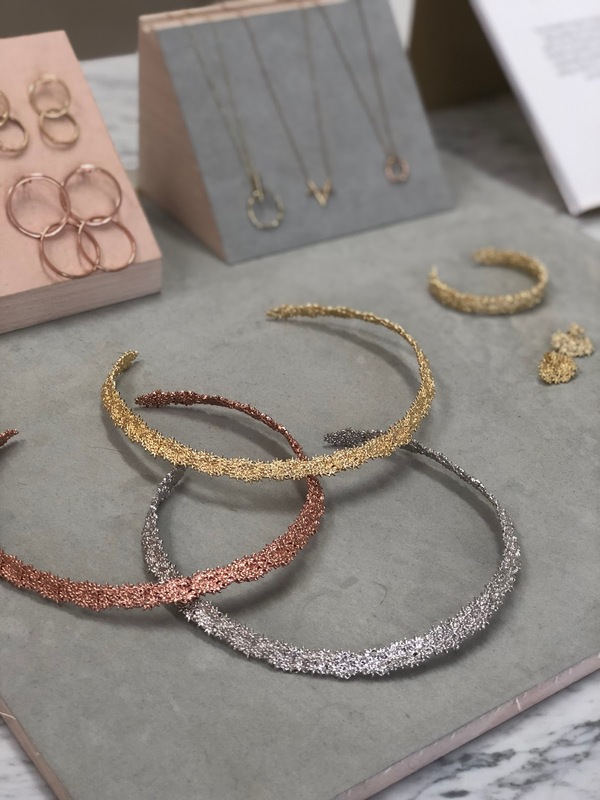 AUrate is best described as fine jewelry that doesn't break the bank! 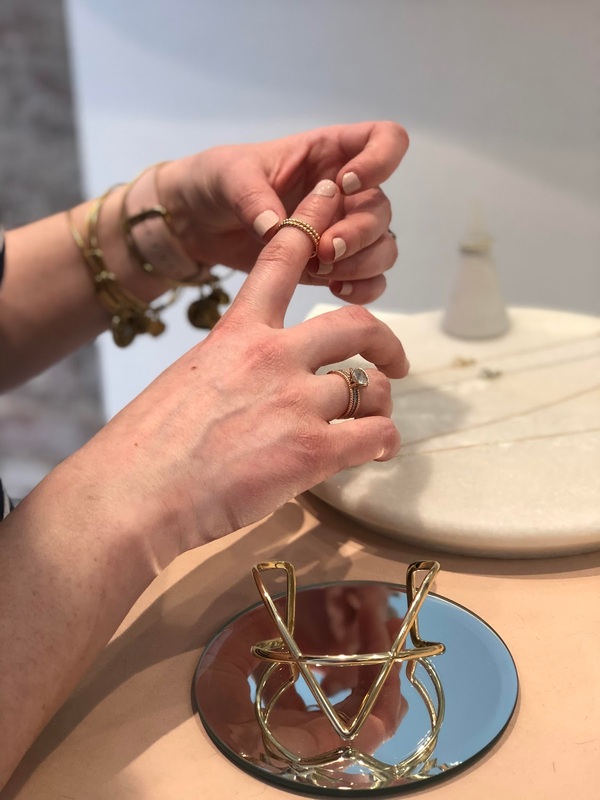 Crafted by hand, each piece is made using the finest materials from around the world, ethically sourced and put together in New York. They take such pride in their work that each piece comes with a lifetime warranty! A company with a mission of not only saying they do good, but actually doing good is refreshing and each piece that you purchase, gives a book to a child to help develop literacy among students. You even get a little note saying what book was given in your name! Their collection of earrings ranges from minimalist to bold, but I was instantly drawn to the flower earrings! You could wear the small part of the flower earrings (at the top) to work and then jazz it up for a night out by adding the gold bloom burst! While at the store I couldn't help but try on the beautiful necklace that matched my earrings - felt like a Greek Goddess! Some of the necklaces are delicate enough to layer and as someone who wears the same necklace every single day, I really appreciate that when I'm trying to add a little something extra to my outfit! I would describe my style as classic with a hint of trendy! While I do enjoy adding pops of color to my outfits, there are certain things that I like to keep in line with that clean aesthetic and I appreciate that AUrate is able to infuse my two styles together! The pieces they offer are able to take your every day look to the next level with minimal effort and as someone that is always running around, I'm happy to have one less thing to think about! Thank you to AUrate for collaborating on today's post. What gorgeous pieces! As much as I love statement jewelry, the delicate pieces are so much easier to wear, especially everyday. I love those stacking rings! All of their pieces look so classic, and very pretty. I love the rings. I adore those layering pieces and that fine chain bracelet is something I would buy for myself! Those are so pretty! I love that even thought they are delicate, they still make a statement. What a fun brand. This jewelry is absolutely stunning! I love the rings and that bar necklace! I’m all about delicate pieces! This brand totally looks like my kind of jewelry! So dainty and delicate! I absolutely LOVE those pearl crawler earrings! I LOVE delicate pieces- it's so fun to wear minimal pieces, but make a nice statement. How fun they're right in the city! ok i'm loving these pieces! classic with a hint of trendy would really sum up my taste in jewelry. i'm on the no-heavy-earrings train too and so i'm sure i'd love these! Such fun pieces, love how dainty some of them are. Oh my goodness, what fun! I've been working to wear more jewelry lately, and I just LOVE how versatile these are. I'm partial to subtle, delicate items, and it looks like there are so many options! they have some gorgeous pieces! Oh yes I love this! I want some better pieces in my collection for sure! 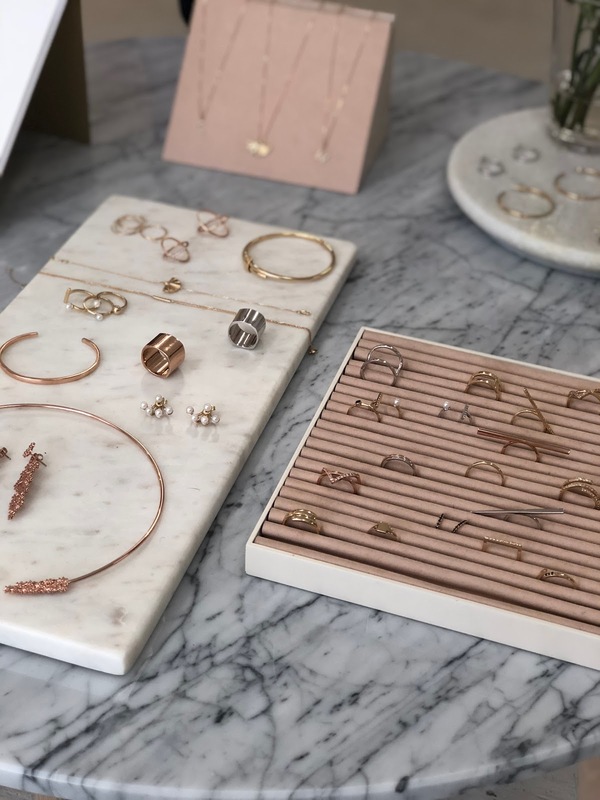 Such pretty pieces- and I'm pretty partial to dainty jewelry these days, too! So fun to layer! Sounds like an awesome place! I really like the earrings you picked, and those necklaces in the last picture is the exact type of thing I go for. Classic pieces that can be worn with any type of outfit and can be layered or worn alone. I have really gotten rid of a lot of my "cheap" jewelry over the past year and focused on a few quality pieces that will carry one for a long time. I want all those pieces, but especially the sparkly bracelets. So pretty. They have some beautiful pieces! Everything is so delicate and feminine. Beautiful and delicate pieces! I've been wearing lighter jewelry a lot more lately too. This jewelry is right up my alley! I spied a pair of pearl ear jackets in one of the first photos that I’d love to have. So lucky that you have this store right by you! Wow all of this jewelry is beautiful and so delicate! I am definitely going to check it out... I wear minimal jewelry to work but I always like to have at least simple stud earrings in! I loved all that jewelry. And the marketing policy about the books such a wonderful idea. I love all that jewelry. It´s so beauty and delicate! Such elegant pieces! Jewelry can really make me feel like a woman which is why I love it! Love this brand! They make the prettiest pieces! This jewelry line sounds really nice! I'll have to check it out. 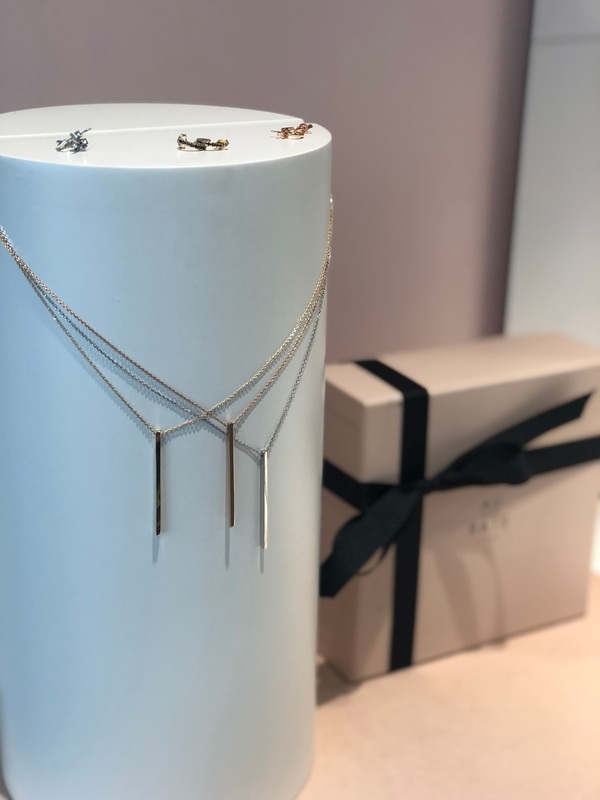 Gorgeous pieces dear! Loving the elegance and simplicity of their designs.